Sadie Hughes has been the Business Development Manager for The Fleece Inn and The Cardinals Hat, two very successful, award-winning English pubs with rooms, for the last seven years. Tell us more about the overall business? Does the B&B side make a significant contribution to that? The Fleece Inn is a National Trust owned pub and wedding venue and is very much a summer business. Our income is roughly 50:50 between wet and dry but having only one room means the contribution to turnover is fairly low in comparison. The B&B has become busier over the past two years in particular with more attention focused on advertising with online booking sites and off-peak deals. The Cardinals Hat is said to be Worcester's oldest pub. In December 2015 the upper two floors were converted into four boutique Georgian style bed and breakfast rooms. This has been a resounding success and offers visitors to Worcester a unique and 'up market' place to stay. The rooms sales have been higher than we could have even hoped for and account for roughly 18% of turnover. Both pubs have been awarded multiple times during 2016 – the awards have recognised our strong team of employees, customer service standards, innovation and development and overall experience. These awards have marked an increase in our turnover and are to date the most celebrated we have been as a business which reflects just how progressive the last two years have been for us as a company. Where are your staying guests coming from? At The Fleece Inn many of our events and functions are cause for footfall in the B&B, however many of our guests are holiday makers on mini breaks and are often National Trust members. At The Cardinals Hat our guests are very much a mixed bag – I would say the majority are mini breakers or those travelling longer distances using Worcester as a stop-gap. We are building on our business custom and have seen a fair amount of repeat business in this area. 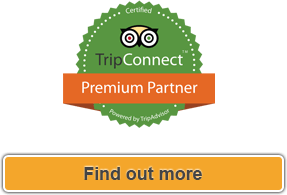 Would you recommend freetobook to other B&B type businesses? YES. Freetobook has changed our lives, we have seen a massive reduction in double bookings and the system has practically halved the man-power and stress levels of the admin team in both pubs. Are you using freetobook's online channel manager?How are these working for the business? At The Fleece Inn we began to use Booking.com and laterooms in the last two years, for The Cardinal's Hat we opened with listings on these two OTAs from day one. Booking.com is by far the busiest booking site for us on both counts. I would estimate two in every three bookings come in via booking.com – footfall to our websites is lower and we would be looking to grow this over the next 12 months. We have also started using the freetobook connection to the online payment system Stripe. It has reduced our costs in relation to those that book under invalid card details and then leave the building without paying first – it offers peace of mind also. What marketing and social media tools work best for the business? The Fleece Inn has a great social media manager (Tash) and is consistently scoring well on customer reach and interaction, we tend not to use twitter so much at either pub and find images draw in the most response. There is a phase two of development planned for the near future at the Cardinals Hat that will create another two bed and breakfast rooms – this will be our main focus over the next 12 months. 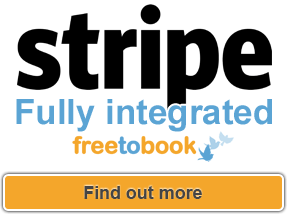 "We have started using freetobook's connection to the online payment system Stripe. 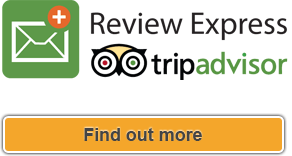 It has reduced our costs in relation to those that book under invalid card details and then leave the building without paying first – it offers peace of mind also."